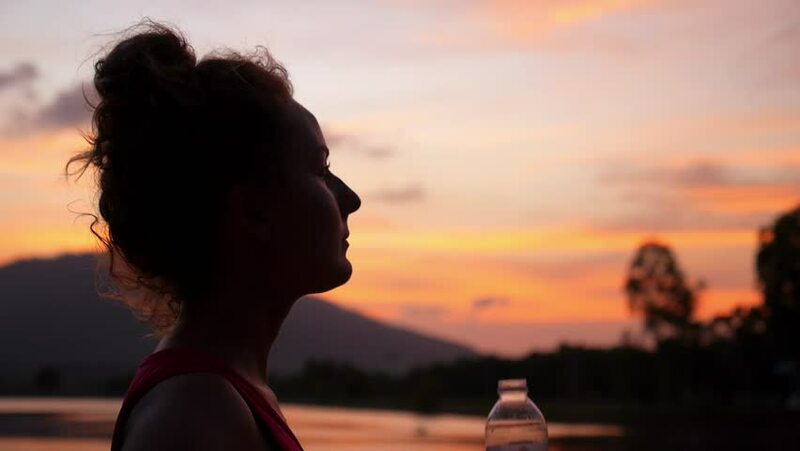 Attractive Sporty Woman Drinking Water after Running or Jogging at Amazing Sunset. Slow Motion. HD, 1920x1080. hd00:24Slow motion. Sportsman enjoying healthy lifestyle. Young free male athlete running at peaceful sunset lake. Side view.